When you work this close to nature on a day to day basis, sometimes you take for granted all of the amazing things that surround you. Big Bear Lake is 7,000 feet up and few hours in the car from Los Angeles and San Diego. At the center of all the activities that occur here is a cool blue lake full of bass and trout which also offers a refreshing place to play during spring and summer. Ready to get out on the water? Holloway’s is just one place that can help! On the other side of Metcalf Bay is Pleasure Point Marina, where even more watery adventure awaits. Rent an electric boat and get into a water fight with friends, or take a leisurely paddle boat ride around the bay. Pleasure Point Marina is close to our cabins, and specializes in creating offshore adventures for you and your family. Escape to the Lake: Sailing, Wakeboarding, Waterskiing and More! If you are at The Village for the day and want to hit the lake you have two great options; Big Bear Marina and Pine Knot Landing. 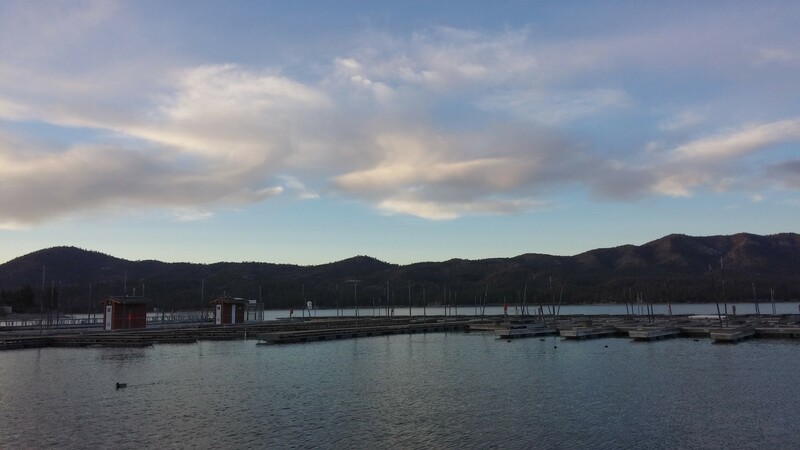 Big Bear Marina is where the adventurous go, with plenty of jet skis and wave runners for all, and access to Action Aqua Flight! 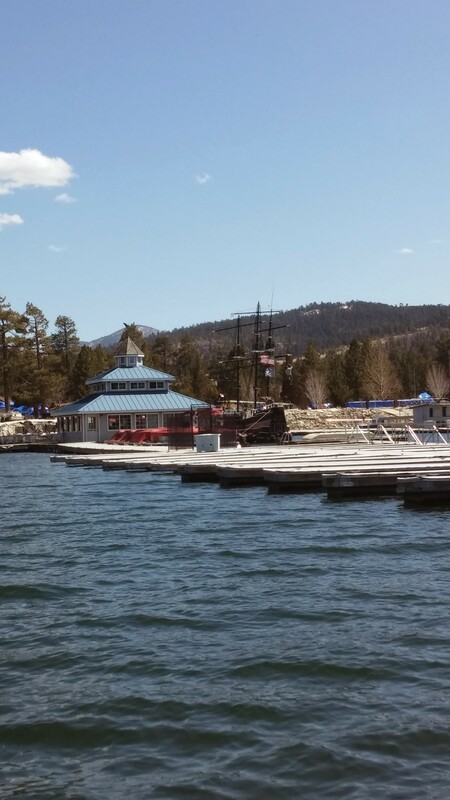 Big Bear Marina is also home of the Big Bear Queen, offering great tours of the lake from a Big Bear native. See you out on the lake! Are you looking to learn a little more about how to get around on the water? Pine Knot Landing is a great place to start! They have one of the largest watersports schools on the lake, offering lessons for all skill groups in “wakeboarding, waterskiing, wake surfing, wake skiing, wake skating, knee boarding, and tubing.” If you’re not down with the extreme sports, you can also learn sailing at the marina. Lessons start at the basic level, and move through the most challenging skills and situations. Pine Knot is also home to the Miss Liberty Paddlewheel, offering history-rich tours of the lake as well as themed tours for the holidays (Mother’s Day is just over a month away. Just sayin’). Of course, you can always head over to Swim Beach and splash around in the water once it’s open in the summer. During the spring you can head out and fish or jet around on (or over) the water. With all this to do, we recommend you make your reservations at Big Bear Frontier as soon as you can. We’ll have plenty of towels ready for you. 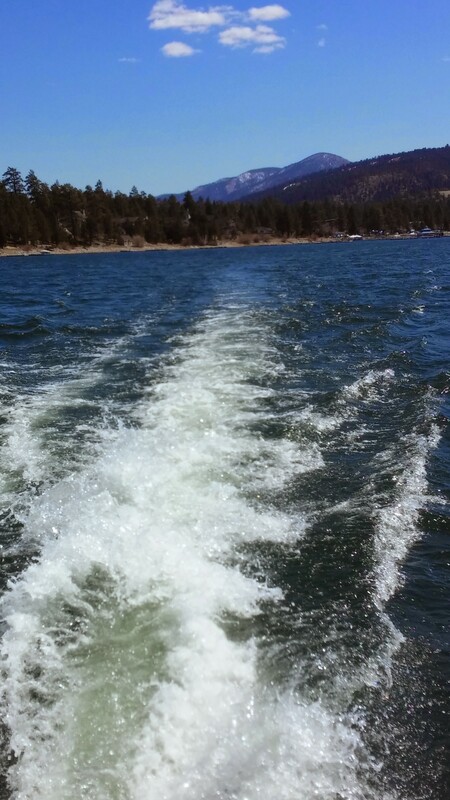 Gallery | This entry was posted in What to see and do and tagged Big Bear CA, big bear lake, boating, cabins, events, fishing, Jet Skis, wakeboarding, What to Do. Bookmark the permalink.